Make a grand entrance – or a distinctive finish. If you like having options, we have the rail for you. With four rich color choices, three infill styles and a highly-popular (and drink-friendly) flat top rail, Fiberon Horizon Railing gives you plenty of design options. It’s the perfect complement to any Fiberon decking, so creating a high-end custom look for your outdoor space has never been easier or more affordable. 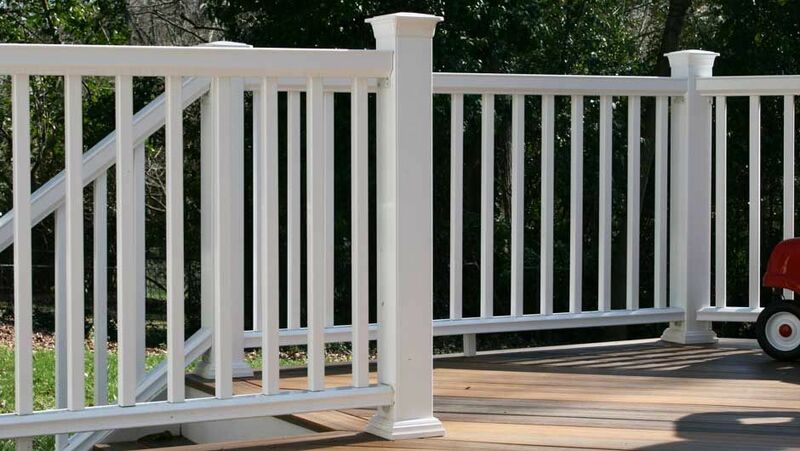 And thanks to its low-maintenance composite construction and permanent surface finish, Horizon Railing can withstand the elements for years to come, beautifully. Do-it-your-self or see our list of recommended contractors.